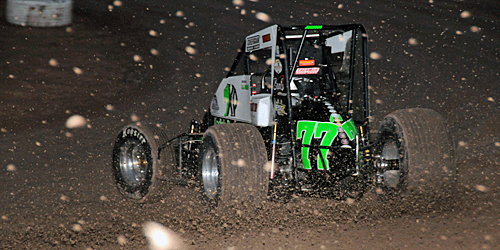 Lonnie Wheatley, TULSA, Okla. (December 8, 2016) – For the fourth year in a row, Arizona’s R.J. Johnson has raced to the top of the Beaver Stripes Non-Wing 360 Sprint Car Power Rankings. Picking off a dozen feature wins en route to another USAC Southwest Sprint Car championship, a fourth consecutive year of double-digit wins netted another number Beaver Stripes Power Ranking. 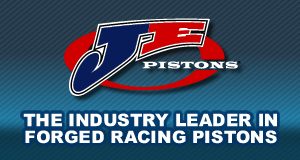 Johnson took the top ranking by a record 155 point margin over Charles Davis, Jr., who claimed second in the final rundown for the third time in four years. After cracking the top ten with a ranking of sixth in 2015, Stevie Sussex climbed to third this year with USAC West Coast Sprint Car champion Brody Roa and Southwest contender Matt Rossi filling out this year’s top five. Others among this year’s top ten included Dennis Gile, Josh Hodges, Mike Martin, D.J. Johnson and Jace Vander Weerd. Along with R.J. Johnson and Davis, Jr., Martin has ranked among the top ten over each of the past four years while Gile, Hodges, D.J. Johnson and Vander Weerd each broke into the top ten for the first time. Title sponsor of the Non-Wing 360 Sprint Car Power Rankings, Beaver Stripes Custom Graphics and Molding Supply is an Arizona supplier of automotive graphics, moldings and custom accessories. In business for more than 30 years, Beaver Stripes is actively involved in keeping the local racing action alive in the Phoenix and Arizona area with a strong interest in local car clubs, car shows and other vehicle related activity involving the community. 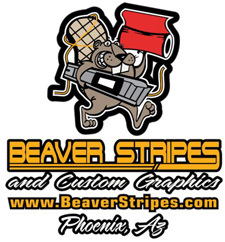 A sponsor of Canyon Speedway Park and Arizona Speedway, Beaver Stripes is located at 2389 W. McDowell Road in Phoenix for all your graphics needs and may be contacted at 602-289-8000 or 800-257-7835. More information is available at www.beaverstripes.com. 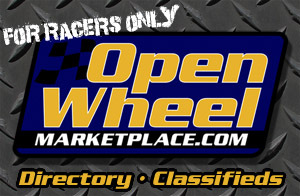 The Beaver Stripes Non-Wing 360 Sprint Car Power Rankings are a part of the Open Wheel Power Rankings that also includes STIDA Winged 410s, Infinity Shocks Non-Wing 410s, Rod End Supply Winged 360s, www.midgetmadness.com Midgets and 305s presented by Dodge City Raceway Park. Paul Weaver topped the 305 portion with the final standings for the remaining divisions to be released over the next two weeks. 2015 – 1. R.J. Johnson (10) 377, 2. Charles Davis, Jr. (3) 317, 3. Ryan Bernal (7) 231, 4. Danny Faria, Jr. (3) 199, 5. Mike Martin (3) 198, 6. Stevie Sussex (3) 196, 7. Brady Bacon (1) 178, 8. Matt Rossi (1) 170, 9. Josh Pelkey 145, 10. Brody Roa (3) 142. 2014 – 1. R.J. Johnson (11) 480, 2. Josh Pelkey (4) 366, 3. Charles Davis, Jr. (4) 361, 4. Ryan Bernal (12) 329, 5. Matt Rossi (1) 251, 6. Shon Deskins (1) 226, 7. Mike Martin (1) 212, 8. Brady Bacon (2) 160, 9. Richard Vander Weerd (1) 158, 10. Matt Mitchell (1) 150. 2013 – 1. R.J. Johnson (11) 387, 2. Charles Davis, Jr. (6) 260, 3. Richard Vander Weerd (7) 280, 4. Josh Pelkey (3) 236, 5. Ryan Bernal (5) 191, 6. Danny Faria, Jr. (4) 184, 7. Mike Martin (1) 184, 8. Bud Kaeding 166, 9. Shon Deskins 143, 10. Bryan Clauson (6) 138.